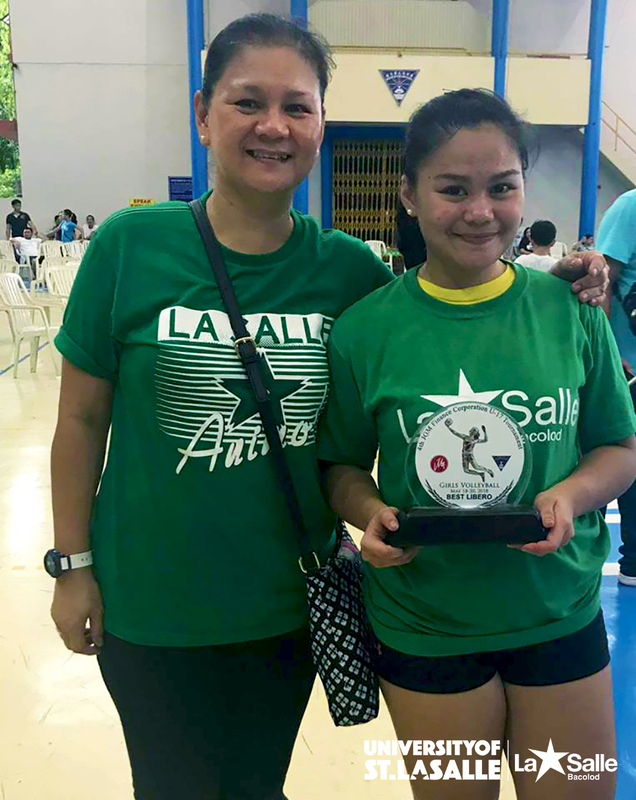 Wowe Estanda, a USLS varsity athlete was recognized as the best libero in the girls’ category during the 4thJGM Invitational Volleyball Tournament. The tournament opened last May 18 at the Bacolod Tay Tung High School covered court and was attended by various athletes around the Philippines. Estanda, along with her teammates placed third overall thanks to the guidance of their mentor, Coach Armand De Gracia. Also present during the tournament were Godfrey Owese Okumu, the head coach of University of the Philippines (UP) women’s volleyball team and Lady Maroon player, Arielle Estrañero.